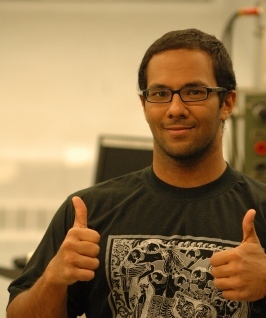 Mohammed Received his Bachelor’s in Electrical Engineering from Drexel University in 2010. He joined the graduate program in Electrical Engineering at Drexel University in the Fall of 2010. He is a reserch assistant and a teaching assistant with the Center for Electrical Power Engeineering. His main research interest include dynamic building load modeling and power system dynamics with building loads. M. Muthalib, C. Nwankpa, “Dynamic characterization of building electrical loads by equivalent energy circuit analysis,” in Proc. 2012 IEEE Int. Symp. Circuits and Systems, pp. 1203-1206, 20-23 May 2012. M. K. Muthalib, C. O. Nwankpa, “Incorporating dynamic building load model into interconnected power systems,” in Proc. 2013 IEEE PES Innovative Smart Grid Technologies (ISGT), 24-27 Feb. 2013. J. Berardino, M. Muthalib, C. O. Nwankpa, “Network constrained economic demand dispatch of controllable building electric loads,” in Proc. 2012 IEEE PES Innovative Smart Grid Technologies (ISGT), 16-20 Jan. 2012. M. Muthalib, C. Nwankpa, “Dynamic building model for demand response,”in Proc. 2014 IEEE Int. Symp. Circuits and Systems (ISCAS), pp.1171-1174, 1-5 June 2014. M. Muthalib, C. Nwankpa, “Operating limits of Buildings As Controllable Loads,” in 18th Power System Computation Conference, Wroclaw, Poland, August 18-22 2014. M. Muthalib, C. Nwankpa, “Evaluating load flow capability with thermostically controllable building loads,” in North American Power Symposium (NAPS), 2015, 4-6 Oct. 2015. M. Muthalib, C. Nwankpa, “Physically Based Building Load Model for Electric Grid Operation and Planning,” IEEE Trans. on Smart Grid, vol. 8, no. 1, pp. 169-177, Jan. 2017. 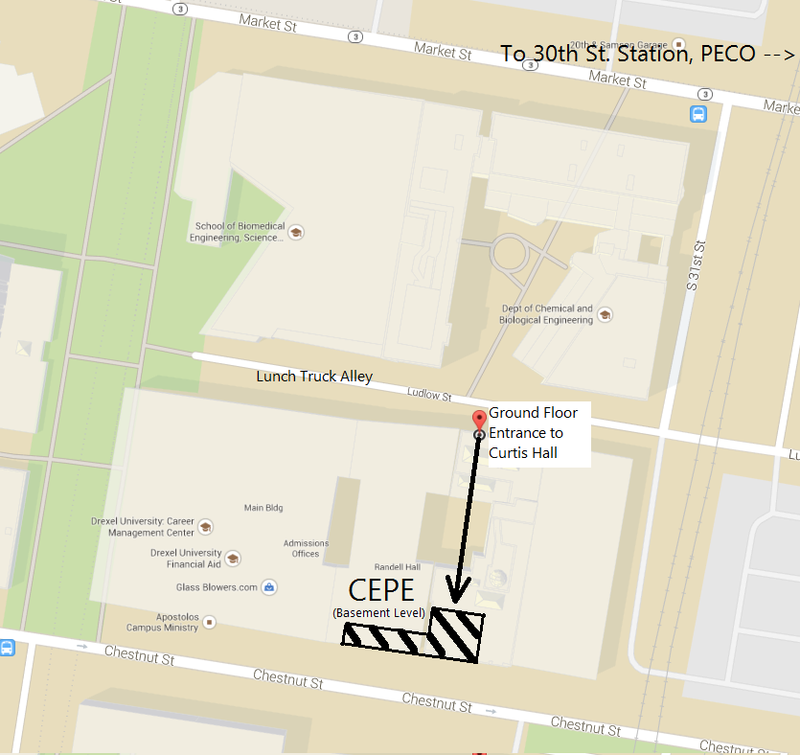 CEPE is located on the basement level of Curtis Hall at Drexel University. The main research room is Curtis 049. You shortest path from outside is through the double doors near the lunch trucks, down the stairs, and straight ahead.